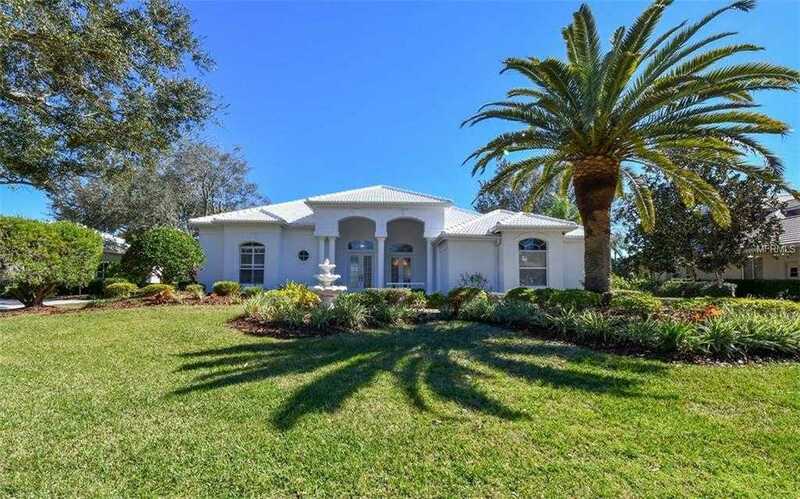 With absolutely stunning golf course views, this immaculately maintained Arthur Rutenberg home is conveniently located in the fabulous Laurel Oak Estates. Situated on almost 1/2 an acre this home boasts 4 bedrooms/3 baths with a large open floor plan that allows for fun family gatherings. The master suite is in a separate wing of the home with his and her walk in closets including a newer LG upright washer and dryer. The spacious master bath has such upgrades as gorgeous granite and artful double vanities. The gourmet kitchen includes a Subzero refrigerator, Jen-Air cooktop and microwave, never used Whirlpool oven and lightly used dishwasher. The updates and upgrades on this home are endless including a NEW TILE ROOF, BRAND NEW HOT WATER HEATER, NEW LANAI SCREENING, FRESHLY PAINTED INTERIOR AND RENOVATED KITCHEN AND BATHS. Laurel Oak has a 24-hour manned guard gate, 2 championship golf courses, 12 hard-tru tennis courts, a jr olympic sized heated pool and a 45,000 sq/ft clubhouse with an active social calendar. The best part, memberships are optional and available. If you join the club, there is a reciprocal with the Bird Key Yacht Club. Close to downtown Sarasota, hospitals, airports, shopping and world renowned beaches....life just doesn't get any better than this. Please, send me more information on this property: MLS# A4427162 – $685,000 – 3285 Charles Macdonald Dr, Sarasota, FL 34240.